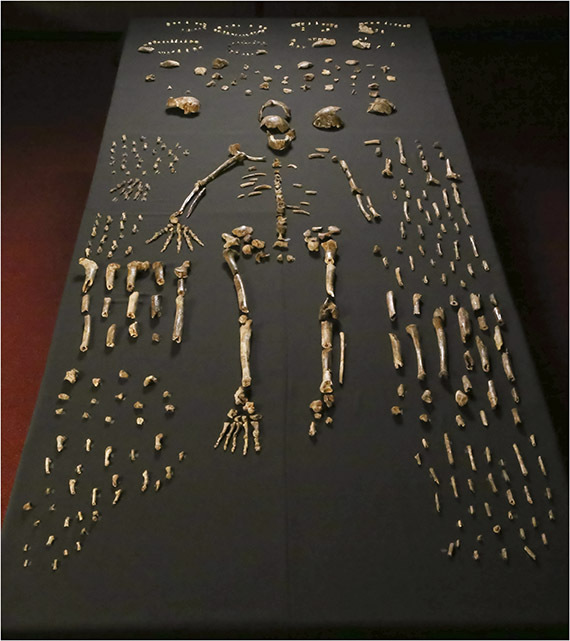 In September 2013, two cavers with the Speleological Exploration Club of South Africa discovered fossilized early human remains in a deep chamber of the Rising Star Cave system outside of Johannesburg. Over a three-week period in October of that year, cavers and scientists would work together to bring more than 1,500 early human fossils out of the cave, leading to the identification of a new species of human ancestor — Homo naledi — and new insights into the evolutionary origins of some aspects of human behavior. In this Science Café, Dr. Steven Churchill will discuss the expedition, the fossils and the significance of this find. Steven Churchill is a Professor of Evolutionary Anthropology at Duke University, and an Honorary Reader in the Evolutionary Studies Institute and Centre for Excellence in PalaeoSciences at the University of the Witwatersrand. He is a paleontologist who studies the fossil record of human evolution, especially that of early members of our genus (Homo) that lived between about 2 million to 10,000 years ago. Much of his work has focused on the Neandertals, an extinct species that lived in Europe and western Asia during the Ice Age, and that went extinct about 30,000 years ago. Dr. Churchill applies principles of biomechanics and functional morphology in his analyses of the bones of these early humans, in order to make inferences about their adaptive strategies, ecology and energetics. Along these lines, he is particularly interested in the nature of the hunting methods and technology that these earlier groups employed. He is also a member of the team that discovered and described two new species of early human; Australopithecus sediba, from 1.98-million-year-old deposits at the site of Malapa, South Africa, and Homo naledi, from currently undated deposits at Rising Star Cave, South Africa.